India, especially coastal India, has a long history of shipbuilding and navigation dating back to the Indus Valley Civilization. Indian shipwrights and the labour force associated with various aspects of shipbuilding excelled in naval architecture. Their native wisdom was adopted by the Europeans engaged in shipbuilding in coastal India. Similarly some of the techniques of navigation followed by Indians were emulated by the European mariners. 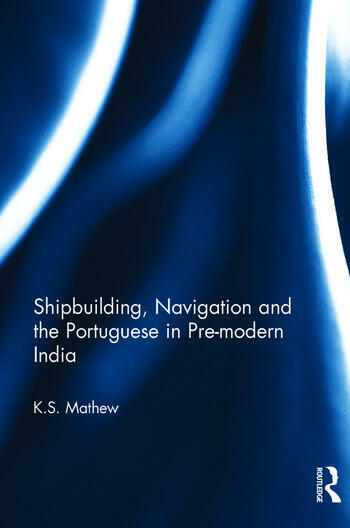 A comprehensive peep into the science of naval architecture and navigation is attempted in this work making a comparative study of Indian and Portuguese architecture and navigation. The volume discusses the importance of the timber grown in the monsoon-fed forests of the Malabar coast and its appreciation by the Portuguese shipwrights and theoreticians of naval architecture. The work shows that increase of the tonnage of ocean-going vessels and the appearance of hostile mariners from other quarters of Western Europe compelled the Portuguese to adopt enhanced technology in naval architecture and navigation. The fact that the use of canons for defence against intruders made the Portuguese vessels stronger than the Indian ships which, for centuries, were accustomed to considerably peaceful navigation is also brought out in this much anticipated volume. K.S Mathew obtained his M.Phil and Ph.D. degrees in History as well as postgraduate diploma in Portuguese language from the Jawaharlal Nehru University, New Delhi besides a postgraduate diploma in German from the M.S. University of Baroda. He served as Professor and Head of the Department of History at the Central Universities of Hyderabad and Pondicherry. He was also visiting Fellow/Professor at a couple of Universities in North America and Europe. He has to his credit 26 books and a large number of research articles published in national and international journals. University Grants Commission, Government of India honoured him as Eminent Professor and also awarded him National and Emeritus Fellowships.